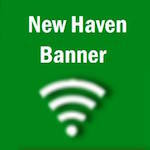 Enter your New Haven Banner Archives username. Enter the numbers and/or letters as shown. The image IS NOT case sensitive.